Name of assignment: Consultancy to improve organisational development of IPs through skills enhancement in leadership, business development and project management. Terms of reference title: Capacity Building of Implementing Partners. Geographical focus: Hai & Siha districts- Kilimanjaro. SNV, with funding from Comic Relief, is implementing a 54 months’ Income and Employment for Women and Youth in the Dairy North East Tanzania (IEWY) project, through a partnership between SNV Tanzania (as lead organisation), Match Maker Associates Limited (MMA), Nronga Women Dairy Cooperative Society (NWDCS), Capacity Building for Organisations (CABO) and Kilimanjaro Dairy Cooperatives Joint Enterprise Ltd, KDCE Ltd. The overall aim of IEWY is to improve the livelihoods of dairy stakeholder with a strong focus on women and youth empowerment. The project objective is to increase incomes and create employment for 18,324 women and youth in rural households. Specifically this is achieved by (a) improving production and productivity of smallholder dairy farmers (b) increasing the amount of, and control over, income earned by women from dairy activities (c) enterprise and employment creation for young people, (d) developing viable producer organizations with improved services (e) increasing knowledge sharing, stakeholders dialogue, and learning to influence an enabling environment for equitable and inclusive smallholder dairy development and (f) increasing the capacity of implementing partners to continue improving income and employment opportunities for women and youth. The project will leverage SNV work in order to enhance youth employment and use of energy saving technology. SNV had used the Organizational Capacity Assessment Tool (OCAT) to develop the capacity of the partners. Based on the assessment and prioritized areas a tailored Organizational Capacity Development Plan (OCDP) was produced for each organization, which will be used to guide the capacity building inputs. The plans are benchmarked for achievement of targets. Furthermore, the assessment tool is expected to be used every year to enable tracking of the progress of each organisation OCDP in leadership, business development and entrepreneurial-ship. It is for this reason SNV is seeking to contract interested consultancy organisations or firms to provide capacity strengthening intervetions to the implementing partners through skills development in business and entrepreneurship, project management and leadership. The enhancement of the skills is expected to be achieved through tailored made training to be delivered using training materials developed for the purpose and an application of a practical and effective methodology. In providing technical support and capacity building in the mentioned areas, the consultancy orgnisation or firm will collaborate and work closely with the project implementing partners IPs. The project IPs are, SNV Tanzania, Capacity Building Organisation CABO, Nronga Women Dairy Cooperative Society NWDCS, Match Makers Associates MMA and Kilimanjaro Dairy Cooperative Enterprises Ltd KDCE Ltd. The KDCE Ltd is the newly registered joint enterprises in July. However SNV Tanzania and MMA will not be direct beneficiaries of this IPs capacity building assignment. The project activities are implemented in both in Hai district and Dar Es Salaam therefore most of the assignment will be done there. Nronga Women Dairy Cooperative and KDCE Ltd are based in Hai District while CABO is based in Dar Es Salaam. The consultancy firm or organisation should also bear in mind that women and youth are the main focus of IEWY project and their empowerment through project activities is important. The consultancy organisation or firm will report to and receive supervision from a designated SNV representative. The consultancy organisation or firm will be supported by SNV to understand the project outcomes and its related activities as well as SNV policies which are required to be abided to. The consultancy organisation or firm will coordinate, implement, and monitor the activities in the scope of work (see Annex 1). The consultancy organisation or firm will be encouraged to make use of, adapt and complement, the available resources from their organisation such as skills training manual and guides. The consultany organisation or firm will be expected to appoint a dedicated technical lead responsible for the assignment. iii. 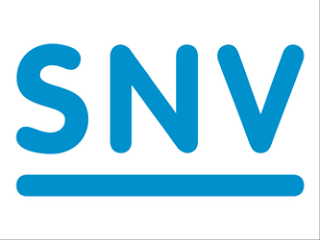 Contribute to knowledge development/learning events as part of the SNV Dairy team; i.e. joint reflection sessions, lessons learnt, challenges and case stories. Documentation of the learning process in capacity building of IPs in leadership, business & Entrepreneurship and project management. d. Final Report of the assignment and supporting documents available. e. Format of the report should include the executive summary, introduction, objective of the assignment, interventions carried out, results/outcome, and lesson learnt, recommendations, conclusion, and annexes of training materials, tools and list of participants. Supporting documents will include photos and any relevant materials. • Experience of working in Hai & Siha districts is a plus. B) A sample of previous work experience in the mentioned capacity development areas completed within the last 12 month along with contact details of the responsible person from the organisation in which capacity building was done. D) The copy of TIN - Tax Registration certificate, copy of trade licence/business permit (clearly stating the nature for which the company is registered), Tax clearance certificate or NGO registration certificate. Failure to provide any of the documents above will result in elimination of the EOI. Please submit the EOI by email to: [email protected] by 9th March 2018.